Nancy Tremblay is Non-Status Indian (First Nation) of Abenaki decent, she is the NDP candidate for the Ottawa riding of Orleans, Ontario. - Nancy is as a scientist with Environment Canada for nearly a decade, if elected her goal is to leader a return to evidence-based policy-making in Ottawa. - She and her husband have built and run a large equestrian operation in Carlsbad Springs, they have also developed a software company selling products worldwide. 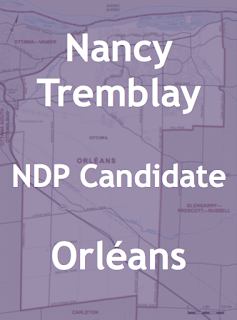 - Nancy is a founding member of the Orléans NDP riding association and is the Aboriginal Representative for the party’s Eastern Ontario caucus. 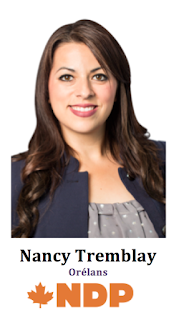 - Nancy has a Bachelor of Science (Honours) from Trent University. 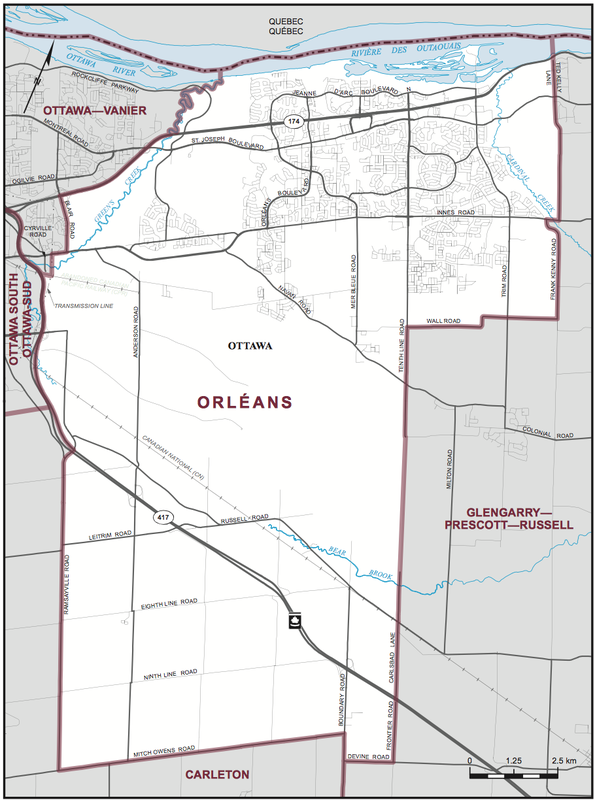 - As a result of the 2003 electoral redistribution process, Orléans (formerly Ottawa-Orleans gains some territory and losses some to the surrounding ridings. The riding has a large Francophone population. 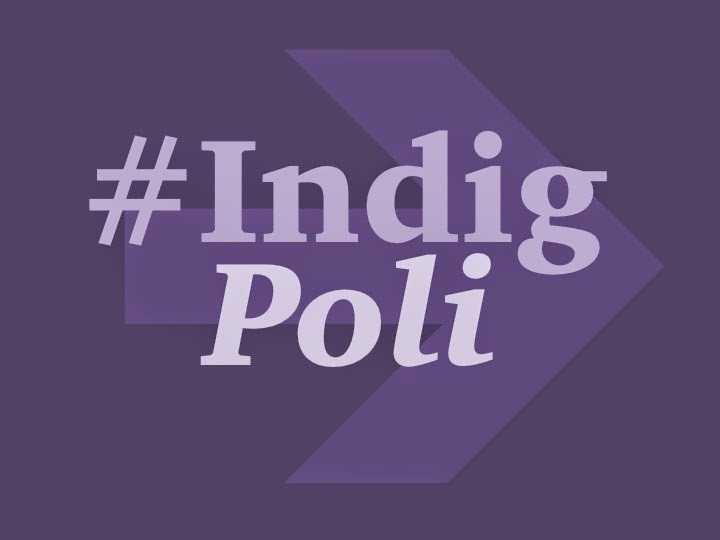 - The riding has a history of electing Liberals, however it switched Conservative in the 2004 election when the Conservative won a minority government. 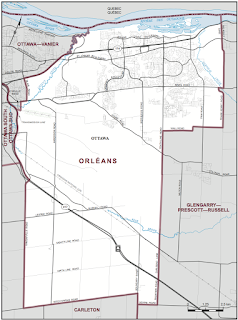 - Orléans has an Aboriginal population of 2.4% of total Canadian population (2011).